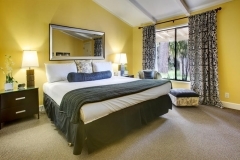 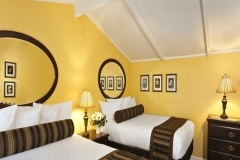 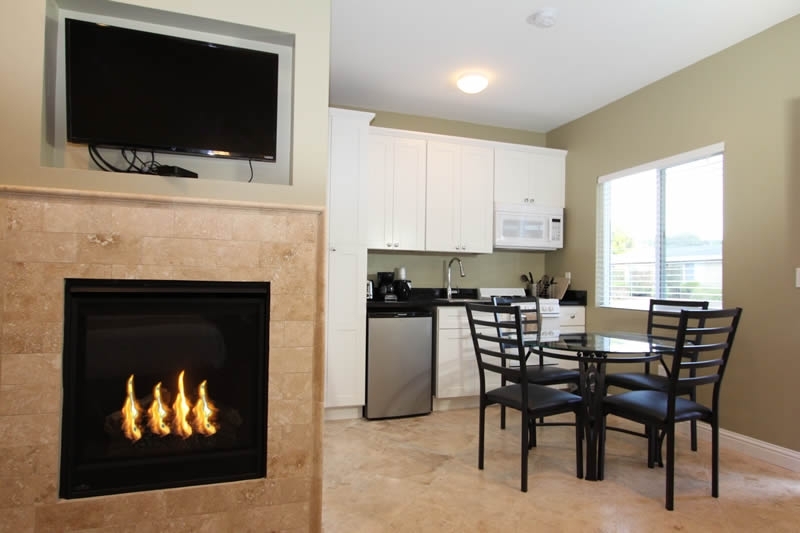 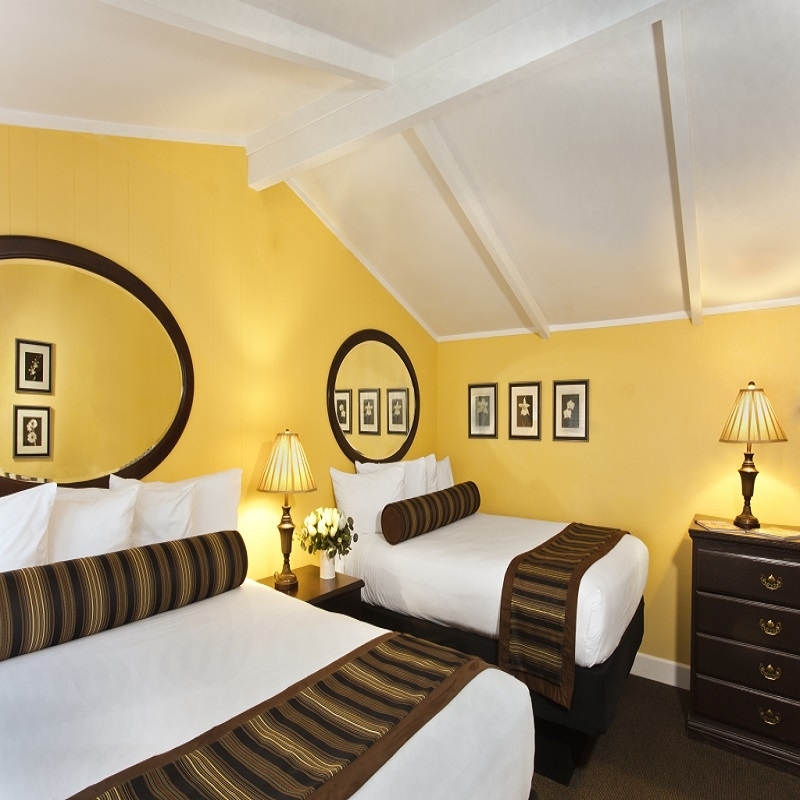 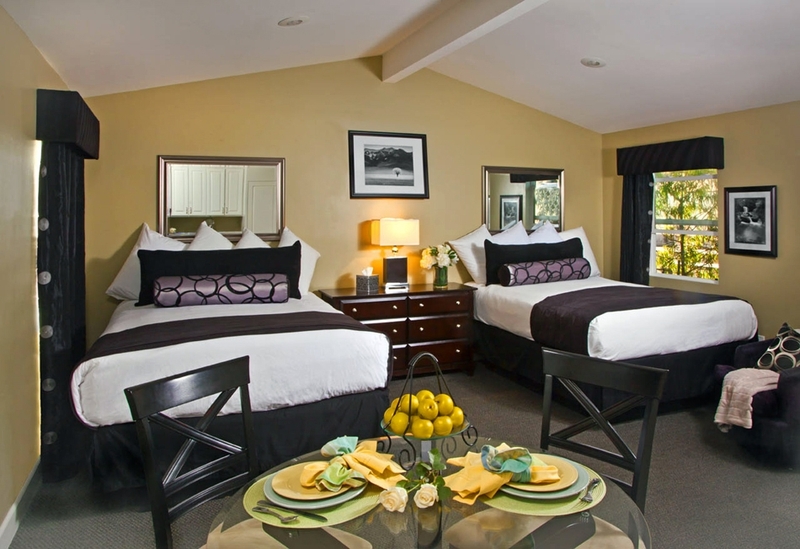 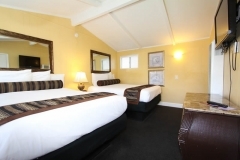 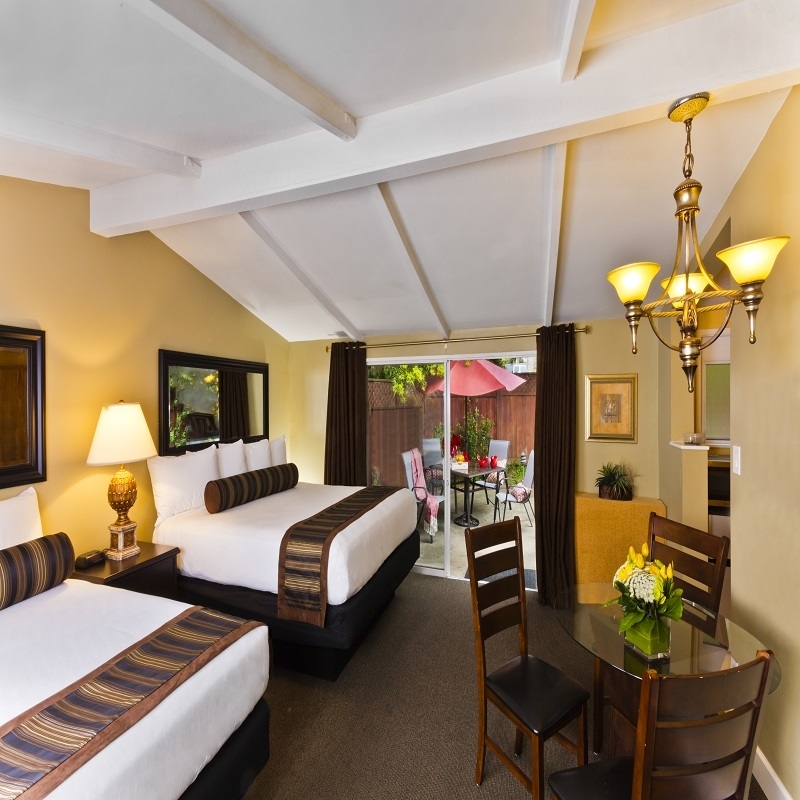 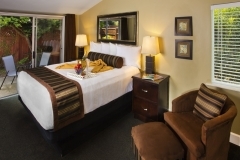 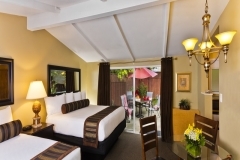 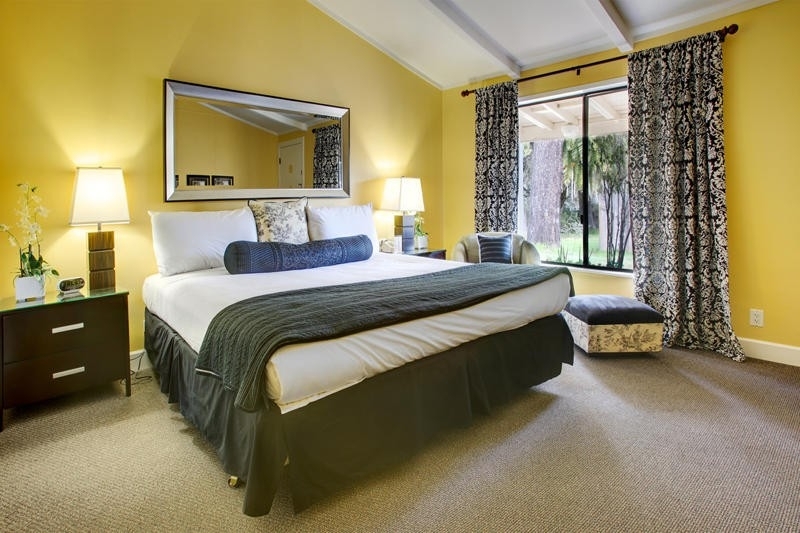 The Monterey Peninsula Inn on the Monterey Bay features 40 guest rooms & cottages on nearly 2 acres of land. 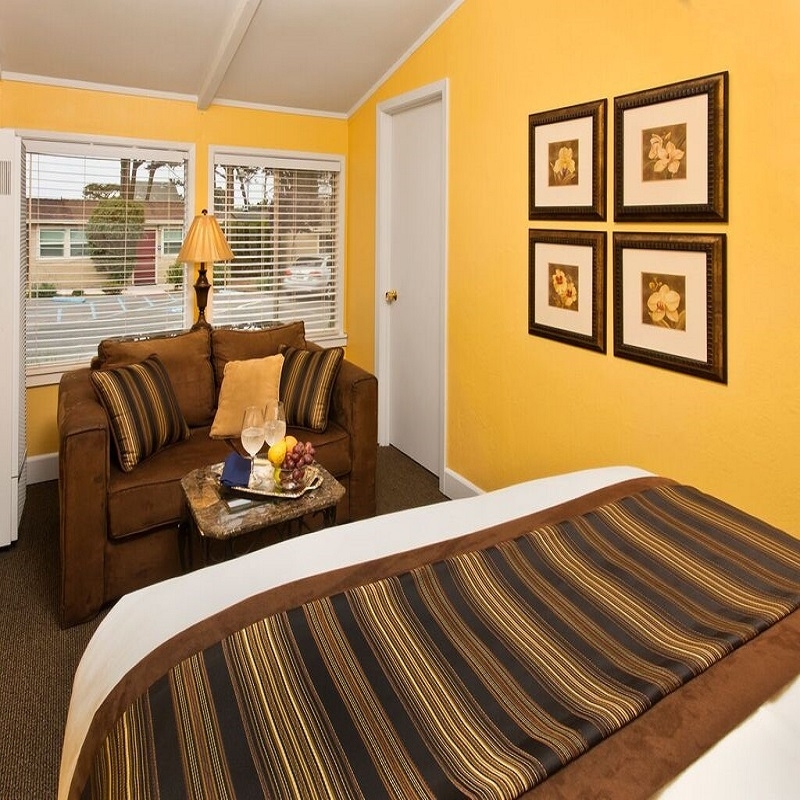 • ADA rooms (visual, hearing or physical impaired). 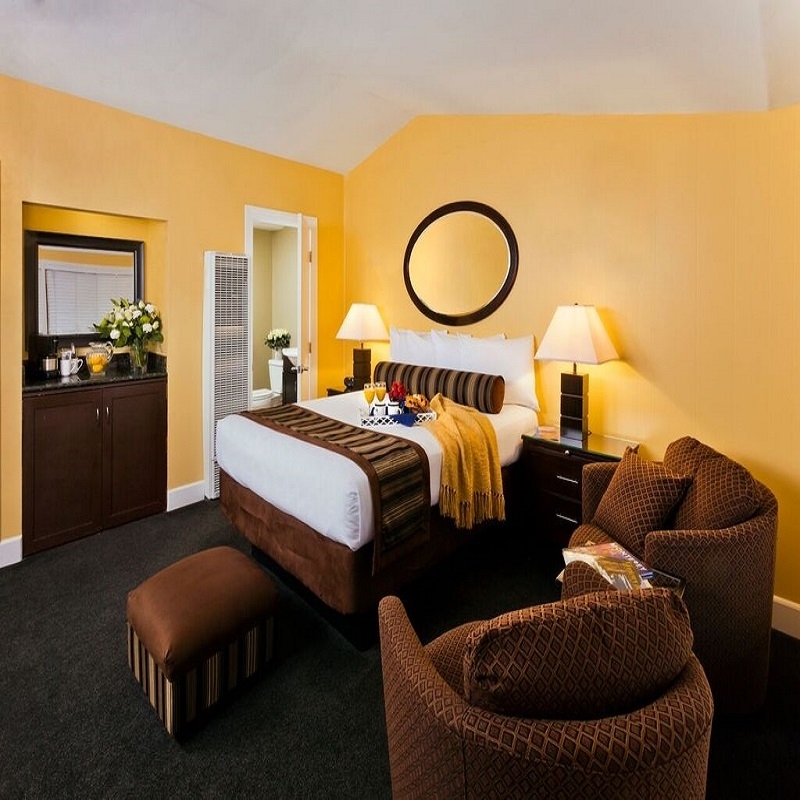 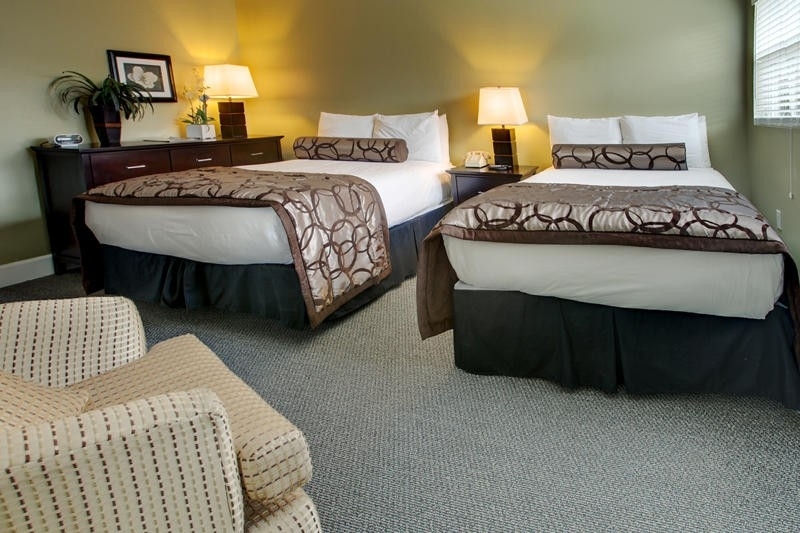 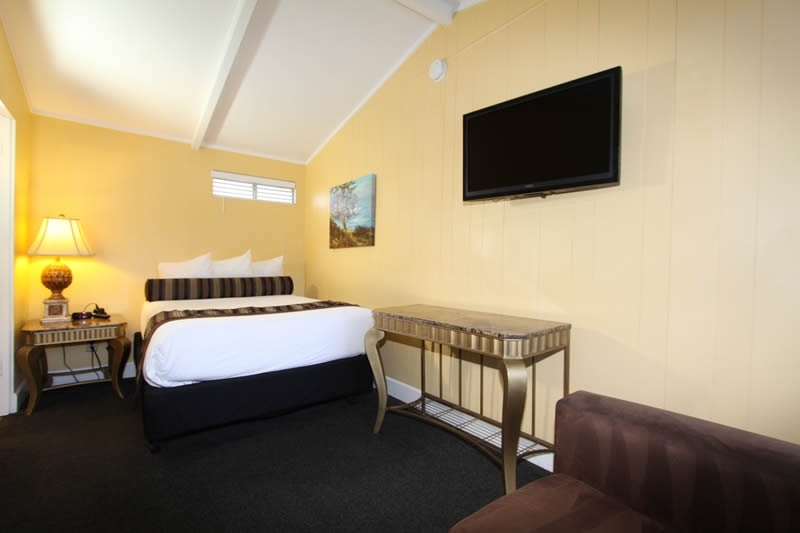 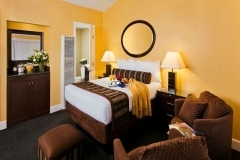 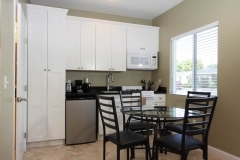 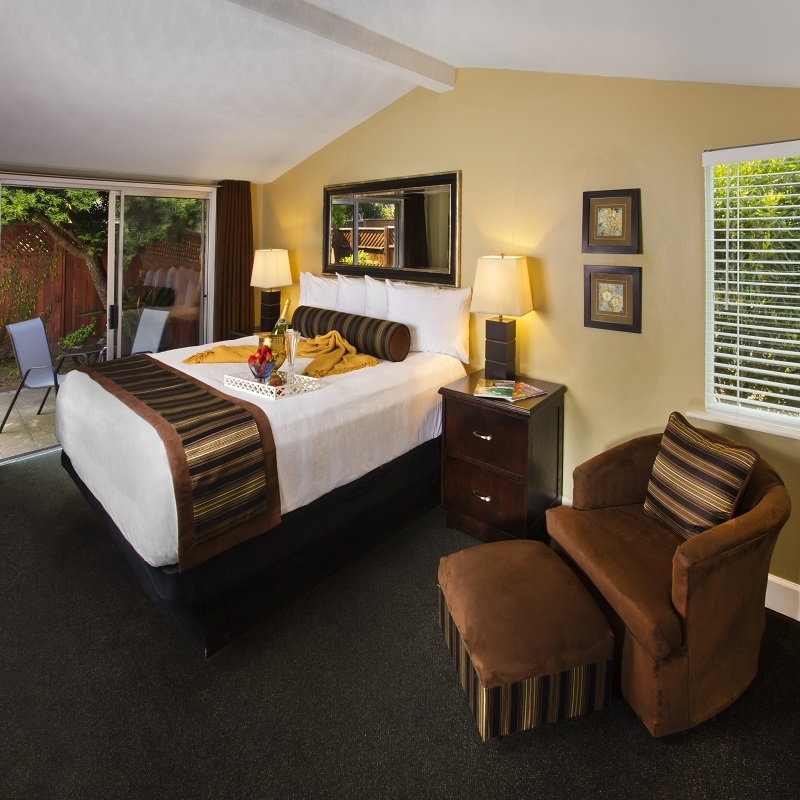 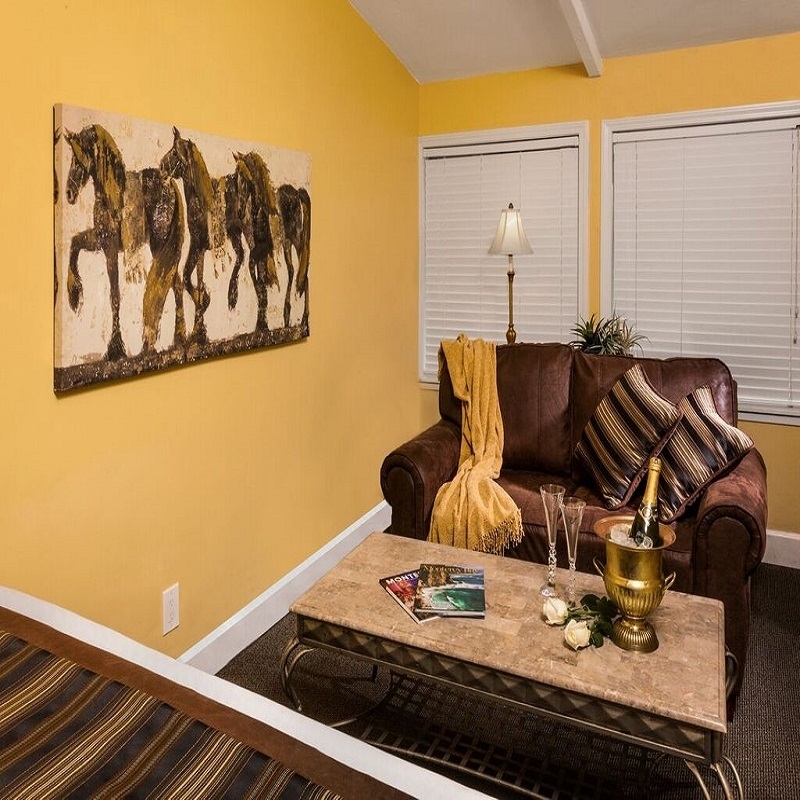 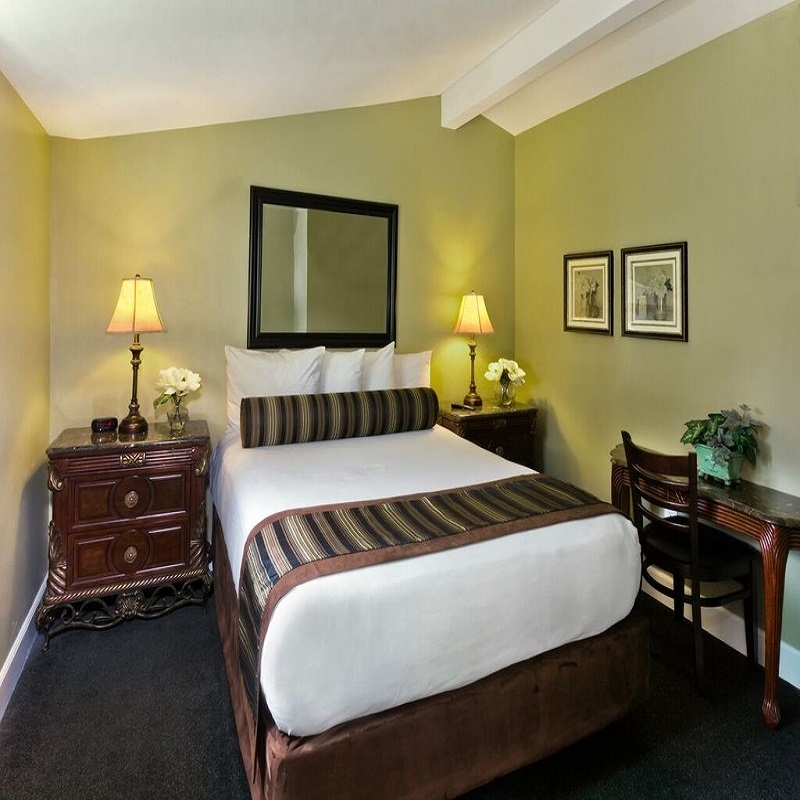 Please note that we offer 2 ADA accessible rooms, located on the first floor with nearby handicapped parking. 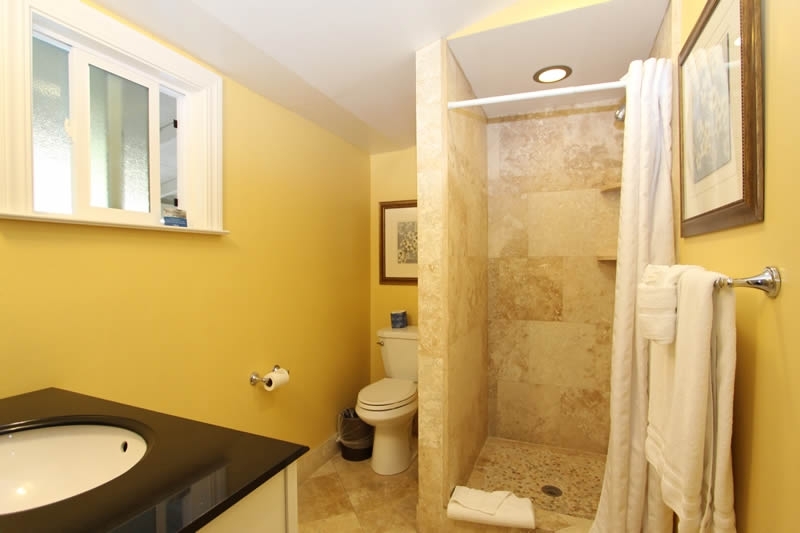 These rooms feature an adapted bath, is wheelchair accessible, lower sink, roll-in shower with rails with fold down seat, and toilet with grab rails. Standard rates for this room. 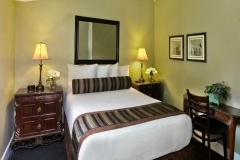 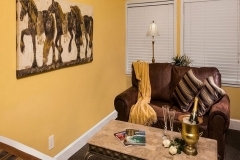 For room types, details and exact pricing … please use the button below. 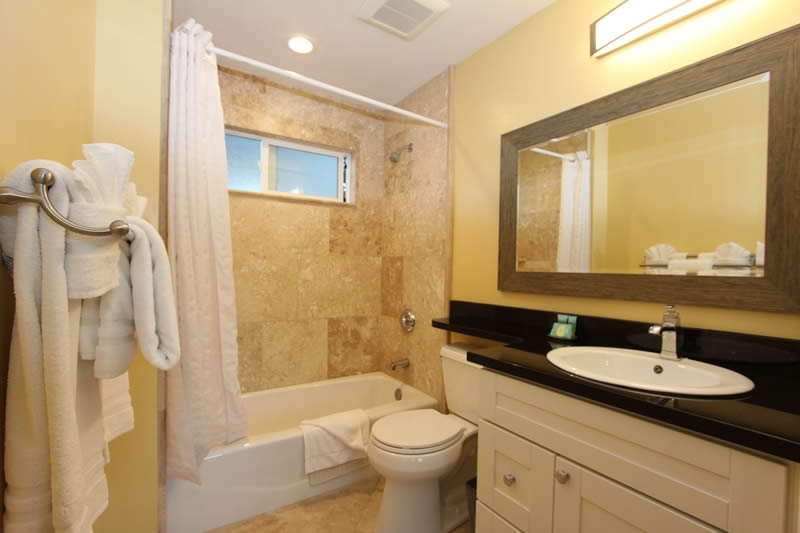 Click photos to enlarge and scroll through.